Work out your budget. The average UK wedding costs a whopping £20,500 according to moneysavingexpert. You might not have that kind of budget, but the first thing on your wedding checklist needs to be an idea of how much money you can afford to spend on your wedding. That will determine everything else you do – from venue choice, to dress, entertainment, catering, cakes and more. Working this out first and well in advance of your actual wedding gives you the opportunity to put aside money on a regular basis, too. Next, reserve the date and venue. If you want to have your wedding in a popular venue, then these can be booked up more than a year in advance. You might find that you have more flexibility if you choose a less popular day, such as a Sunday or a day during the week. Many venues offer deals on weddings through the week, so the non-Saturday wedding can work out cheaper that way too. Another booking to make here is the officiant – whether that’s a minister, priest, registrar or humanist celebrant. Book the entertainment. 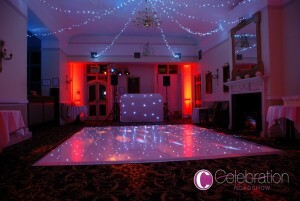 This is a must for the wedding check list as popular bands or DJ services can be booked up through the summer months. Talk to your partner to make sure you both want the same thing, and book up as soon as possible. If the band or the DJ is unknown to you, you could ask if you could see them in action to find out if this is what you really want. Hire your photographer and a videographer. Again, this will depend on your budget and if you want a film as well as photos. To save money, ask around your friends and family. Maybe there is someone who is a talented photographer and they would take the pictures for you. 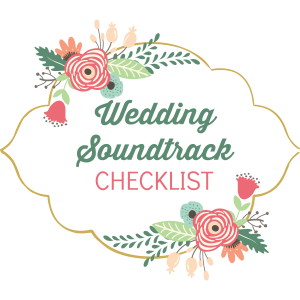 Even if you do opt for the home-made solution, see this job as part of the wedding checklist and ask well in advance. No-one wants to be told at the last minute that they are the actual wedding photographer for the day! Reserve rooms for overnight guests. Most venues will offer you a deal on overnight guests if you are having your wedding there. Book them in advance – even if you are not sure how many people will stay. …well, maybe not so much the last one! To get your music on track, speak to us about how you can create a memorable day through all the senses, for all the right reasons.